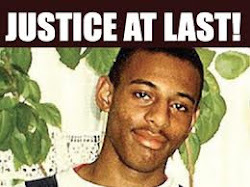 SMILEY CULTURE LIES LIE BLEEDING: #MarkDuggan : Documentary - Still No Answers ? On the 4th August 2011 at approximately at 6pm, an incident occurred in which a young man, a father of four was gunned down by police officers. 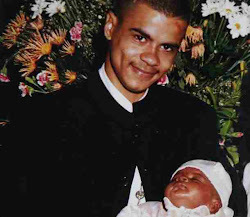 His name was Mark Duggan, 29. Much was made of this incident, it was alleged that the victim had fired at police initially, a claim that proved to be untrue. The police and IPCC's investigation and overall handling of the case can be questioned in a variety of ways. The family of Mr Duggan where treated with a lack of compassion. What followed the death of Mr Duggan was widespread riots across the UK, this enabled the media to focus away from the real issue at hand and turn their attention to the riots. This documentary will focus solely on Mr Duggan and the suspicious events surrounding his death. In part 1 of this series we will look at the media and their handling of the case, including many interviews that they would dare not show again on TV as the true voice of the people is being spoken. This documentary features initial news reports of the incident through to the funeral of Mr Duggan. Nearly six months after the death of Mr Duggan there are many questions that remain unanswered. Credits to Upshot TV for allowing the use of footage of Jahlani. DISCLAMER: David N'Jai Media does not claim to own any footage, audio or photographs used to create this video. This is strictly for private use and cannot be copied, reproduced or sold.